I happen to think that one of parents’ most important responsibilities is preparing their children for the day when they leave home and live on their own. Will they be ready to make decisions for themselves? Will they know how to react in stressful or dangerous situations? Will they be able to manage their own money? The list goes on and on. 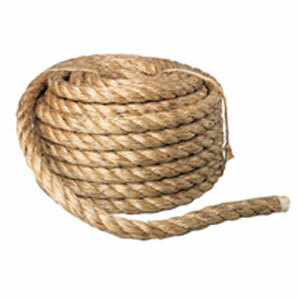 But the way I mentally visualize this parenting challenge is using the “give more rope” analogy. When your child is young, there is only a very short rope between you and them. What does this mean? As they drift from side to side (ie – doing things that are wrong or dangerous), the rope is so short that the parent can immediately correct (explain, scold, punish). The other benefit of the rope being so short is that the consequences of the child’s action are limited. Even something like touching a hot stove might seem catastrophic at the time but in a short few years you’ll realize that a blister on a finger is nothing compared to later potential consequences you’ll be worried about. Again, a short rope yields quick correction and limited consequences. As the child ages, imagine progressively giving them more rope. They can swing further to the side before parental correction but the consequences of their action are greater. This means that wider variations within the range of their control translate to a wider range of decision-making responsibility and an increased opportunity to learn from mistakes. Carry the evolution into high school and things like dating, alcohol/drugs, driving a car and plenty of other young adult issues are presented. This is when it starts getting scary for the parent because the right thing to do is continue to give more rope to the son/daughter but the consequences of bad decisions can be really serious. I actually explained this analogy to my children when they were about 12 years old and again then they were about 15. I wanted them to know the philosophy and our support for making their own decisions while still living under our roof. This parenting principle is greatly complemented by the “What’s The Worst Thing That Could Happen” concept described in another post. Next Next post: What’s The Worst Thing That Could Happen?